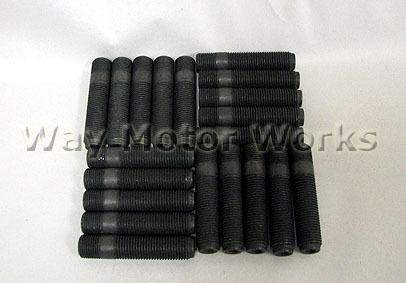 This WMW / TSW 14mm wheel stud kit for R61 MINI Paceman converts from M14x1.25 to M14x1.5. Since the 1.5 thread pitch is so much more common. Increasing your options for lug nuts and wheels. Great for those that have trouble with the stock lug bolts, making changing wheels much easier.